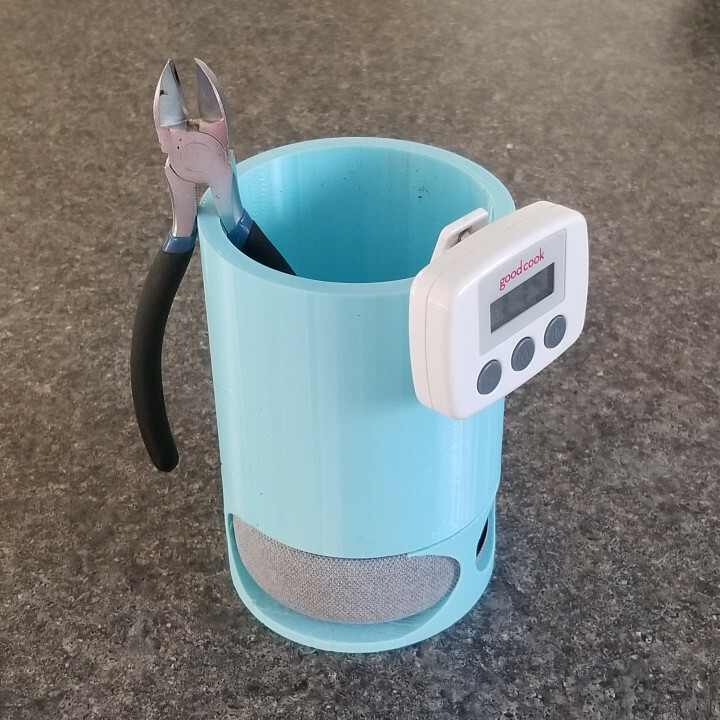 This is my entry to the Smart Assistant design competition! 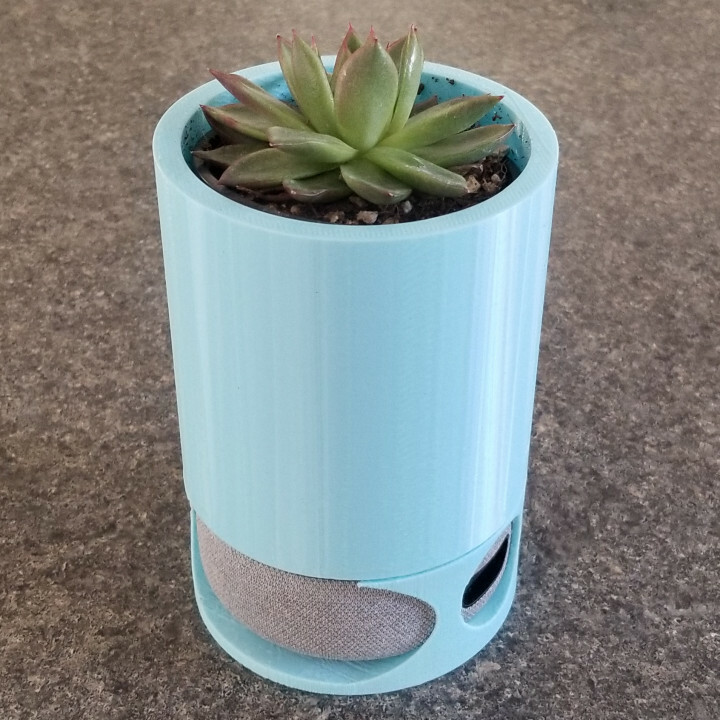 I've noticed that a lot of the things that you can print for Alexa are mounts and displays, while all of them are amazing, they're not really functional. 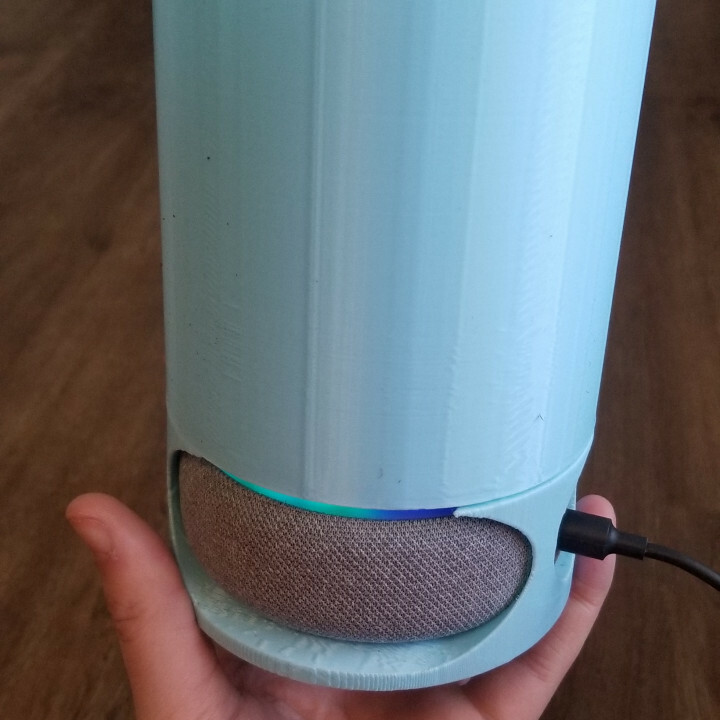 So I decided to create something for Alexa that gives her an extra function! 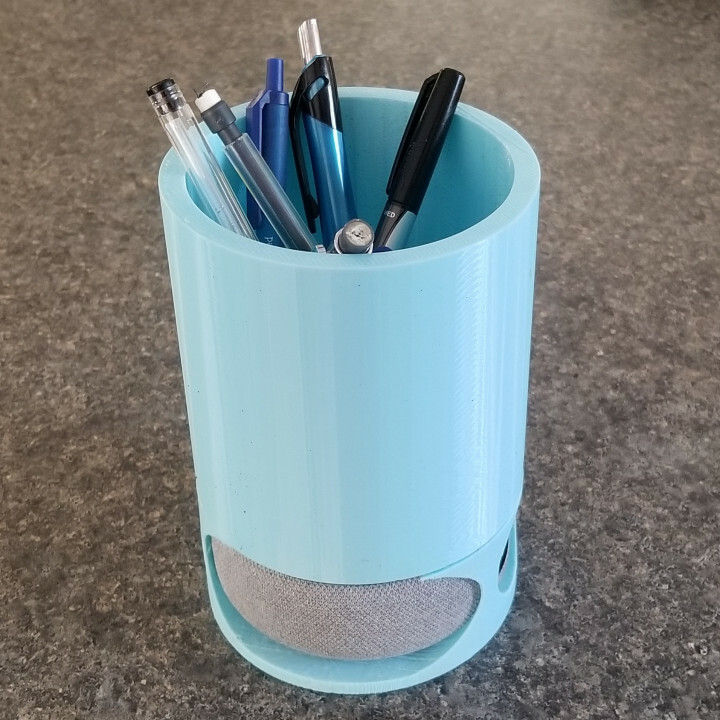 This cup can be used for a variety of things, but I have chosen to use it as a pencil holder on my desk while I'm working :). We appreciate Jake Trim to allow us to share your talented design here.